To be honest, I've been stuck in a rut lately. So much eating and most of it has been mediocre and uninspiring. In fact, it has been so bleh, I've considered taking a hiatus. Well, that was only for a fleeting moment as my latest food adventure brought me right back. It socked me in the face like a white Mercedes stealing my parking spot. 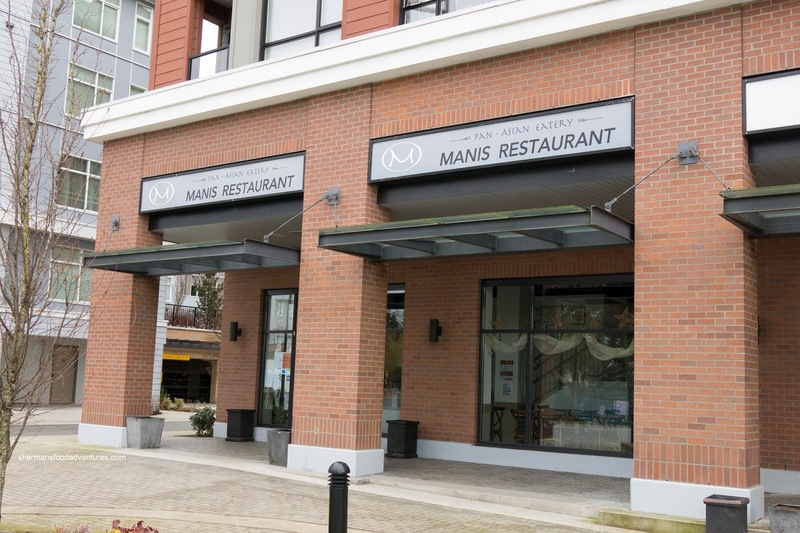 Surprising to say the least as this meal started out as innocent curiousity when I checked out Manis Pan-Asian Eatery in the heart of Whalley. I enjoyed my meal so much, I invited Steve and Ned Flanders to join me on a return visit the very next day. So this post will be an amalgamation of the 2 visits. 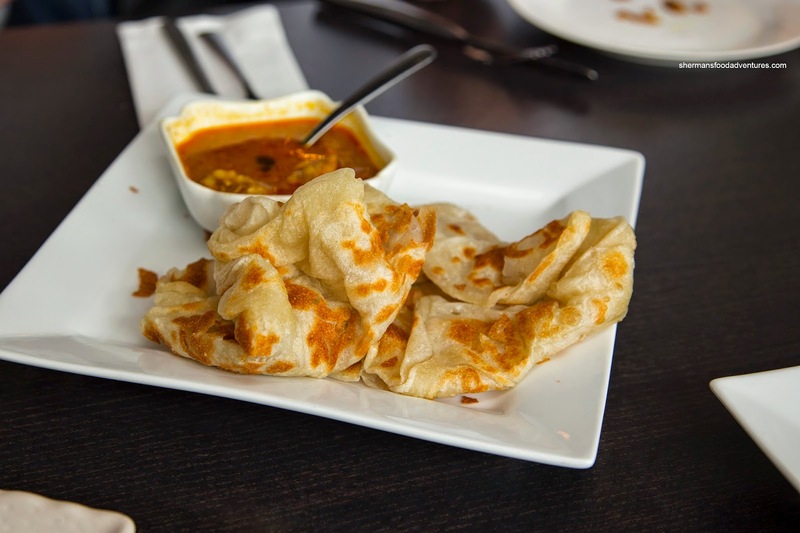 In both meals, I had the Roti Canai which was seriously (like really seriously) on point. It was flaky and crispy on the outside, while the cooked-through interior was soft, yet chewy. The whole thing wasn't greasy at all, yet still moist. We went for the curry chicken dip and although it was mild-tasting in terms of seasoning, that didn't mean it didn't have impact. Although a bit more salt and thicker consistency would've been nice. There was a noticeable spice level though. 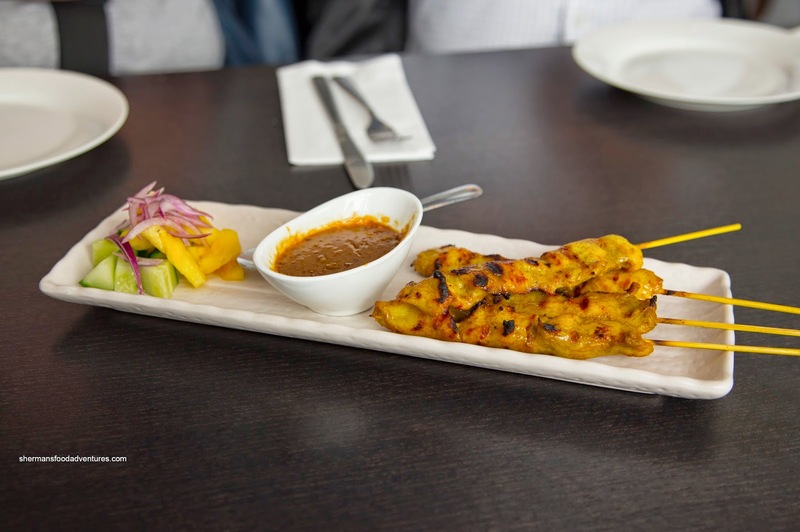 We also had the Chicken Satay which featured a good-sized portion of meat. Sporting a nice char and enough marinade, these were smoky and sweet with a touch of spice. The accompanying peanut sauce added even more sweetness. 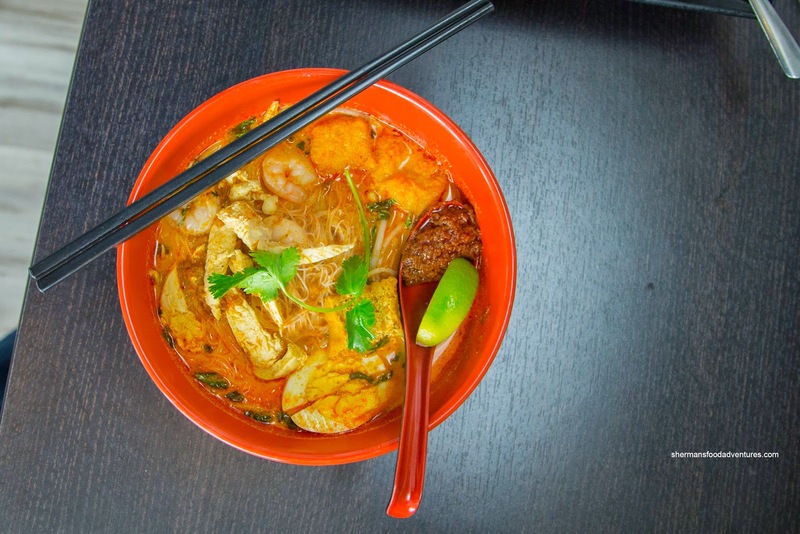 For the meal I had by myself, the Singaporean Laksa was an explosion of flavours. I will boldly state that this is the best Laksa I've had in the GVRD. Yes, I said it and will stand by it. The broth was aromatic with an initial spiciness which was impactful without being overwhelming. Then the coconut milk came through with a rich silkiness, then finishing off with a pungent seafood hit. All of these worked in harmony without conflict. 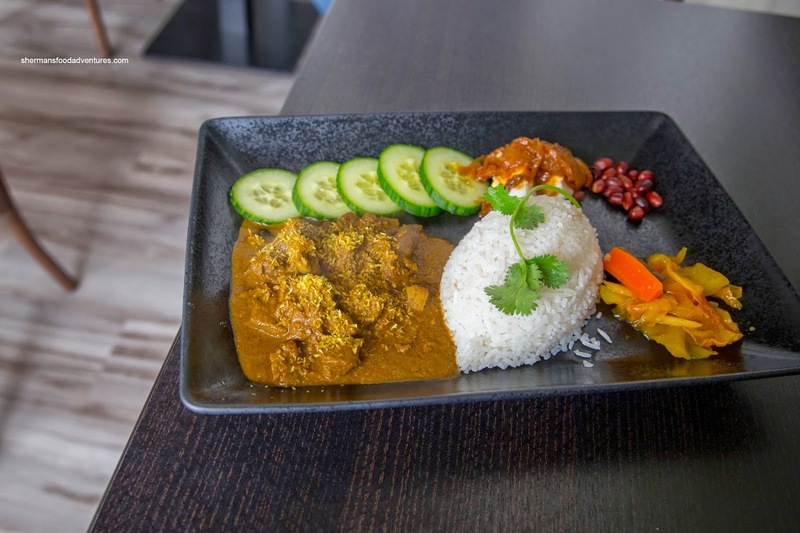 Next up, I tried the Beef Nasi Lemak (Malaysia rendang beef curry, coconut rice, egg, pickled vegetables, peanuts, anchovy sambal) which was also excellent. The tender and moist chunks of beef were nestled in a combination of flavours which were revealed in layers including ginger, lemongrass, spiciness from the chili and of course coconut milk. The sprinkle of toasted coconut on top only served add yet another aromatic hit. 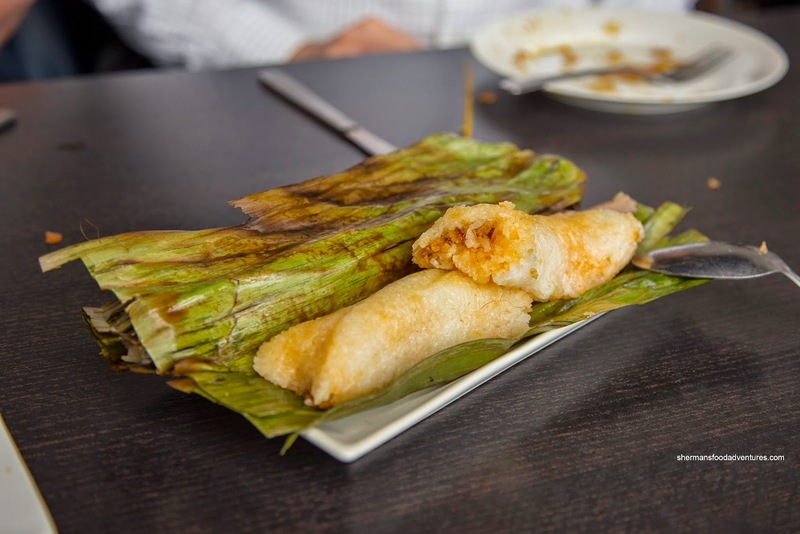 With Ned and Steve, we sampled some more items including the Pulut Panggang (glutinous rice filled with dried shrimps and spices, and wrapped in banana leaf). Related to the Chinese "jong", this Malay version boasted some bold flavours including the pungent saltiness of the dried shrimp, aromatics of the shallots and spice of the chilis. 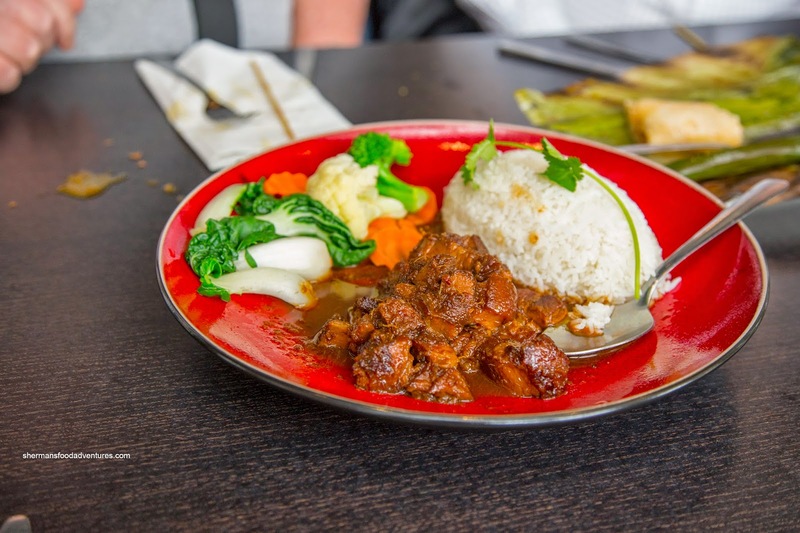 Now onto an Indonesian dish, we tried the Babi Kechap consisting of pork belly braised in kechap manis (sweet soy) served with seasonal vegetables and coconut rice. 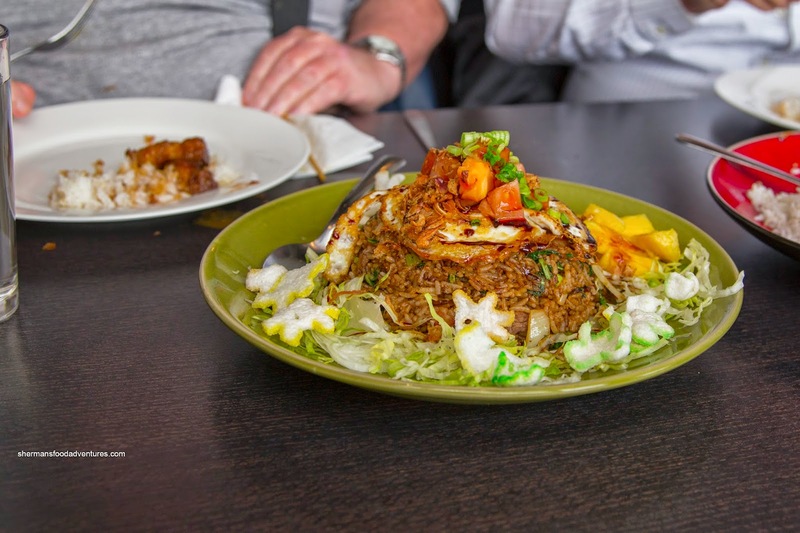 We agreed that this was our favourite dish of this visit (better than the Laksa in their opinion). With a melt-in-our-mouths quality, the pork belly was definitely sweet and salty. There was considerable depth where the sauce finished with the tartness of tamarind. At first I thought the sauce was too salty, but combined with the rice, it was just right. I only wish that the egg on the Nasi Goreng was a bit runnier, so that we could have stirred it in with the rest of the ingredients. I really enjoyed this whole meal, I'll be returning.